If you know me, or have read my postings, you’ll realise that I’ve become pretty enthusiastic about encouraging insects in the garden and wider environment. This stemmed from an initial interest in garden moths which developed about 11 years ago, but which has broadened recently to include the huge range of insects that will visit anyone’s garden. Indeed our “Garden Impressionists” name derived from being overwhelmed by the numbers of insects in Monet’s garden at Giverny when we visited on a sunny day in early May several years ago. I was struck also by the sheer mass of flowers in the formal part of this garden, and reckoned that this was the key to the huge insect population there. Equally I realised that this was a labour intensive formal garden, with many annual plants on a different soil, with a very different climate, to that which we enjoy in wet upland Carmarthenshire. But the seed was sown to continue to develop our garden, which was then still in its infancy, in a way which would eventually create a similar haven for a diverse insect population. As the title for this section I’ve tweaked a phrase which the rather appropriately named American author Michael Pollan used as the title of a fascinating book which he’s written. His theme was to look at the global success that 4 plant groups (potato, tulip, apple and marijuana) have enjoyed over the last few hundred years, simply by appealing to a single species of animal on the planet, more specifically humans. My own little section under this similar heading is an attempt to stimulate thought about whether the plants which we grow in our gardens are simply for our delight as Michael Pollan discusses, or as nature intended have a much wider and real appeal – principally to pollinating insects. After all, over millions of years this phenomenally successful relationship between flowering plants and insects has developed, and led to the huge diversity of both these life forms on the planet and perhaps as gardeners we should become more aware of it when deciding what to plant. 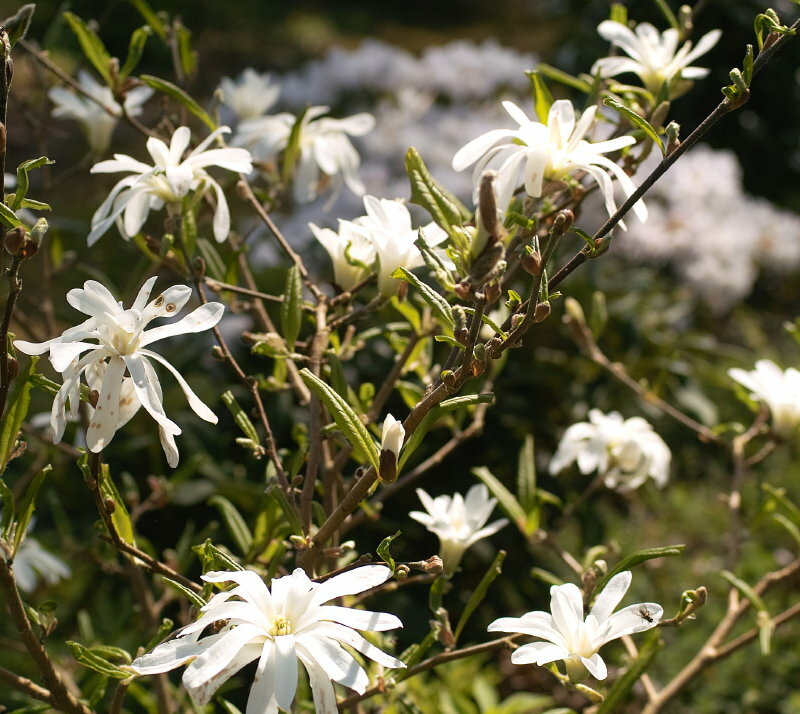 Interestingly, the bees and butterflies of the insect world developed more recently in evolutionary terms in reponse to flowering plants (and Magnolias were some of the earliest examples) starting to produce carbohydrate rich nectar to lure insects to their flowers. Before this, flowering plants simply produced protein and oil rich pollen, which did have appeal to insects as a food source, but was more ‘costly’ in resource terms for the plants to manufacture than the newer food, nectar. With this new energy source some plants also developed ways of creating very specific relationships with some insects by hiding the nectaries deep in the flower…. a few insects became sufficiently specialised with mouth parts able to reach these nectar source low down in the flower’s structures…..and this is when bees and butterflies started to develop and diversify. The benefit to the plant of this change of fertilisation strategy was that less pollen was wasted on an insect which after visiting the first flower then flew off to other plant species’ flowers, where the first plant’s pollen was wasted. Of course some of this slow evolutionary development process has been undone recently by nurserymen breeding flowers that satisfy our human senses for colour, form, and scent, with no consideration of the flower’s benefits to insects at all. And in the world of agribusiness, the wider natural environment isn’t as healthy for insects as it used to be and is certainly much less well populated with flowering plants than in the past and this has at least in part led to the much publicised declines in bee and butterfly numbers. So anything gardeners can do by creating appropriate insect friendly planting schemes probably has more value than at any time in the past. It’s also become clear to me that much information on insect friendly planting is recycled, not the result of direct personal observation, and hence sometimes disappointing in its accuracy. A recent example I noticed in 2011 was the recommendation in an article by a well-known gardener and journalist that Viburnums are good insect plants. 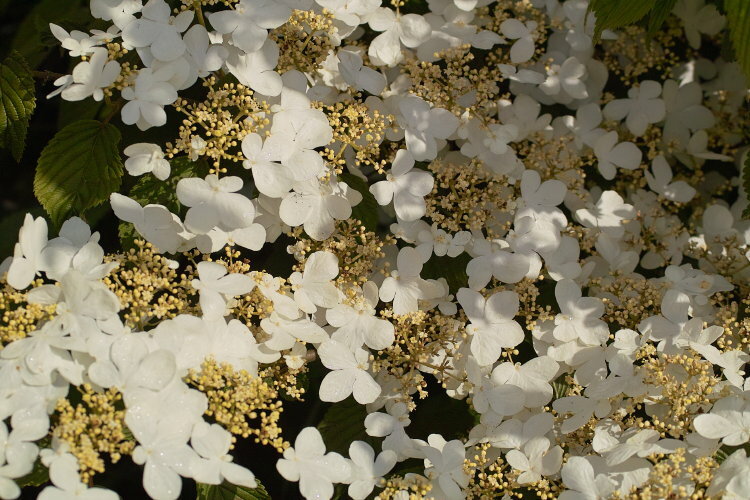 Perhaps they may be in other parts of the UK, but in our garden which is now buzzing with insect life, and where we grow over a dozen Viburnum varieties, many with fantastic scents (for human noses), they hardly get a single obvious insect visit, day or night. So several years ago I decided that the best solution was to spend time actually looking at plants in our garden which really seem to appeal to the different types of insects which are around, throughout the year, day and night. Interestingly since starting this project there is much greater awareness of this issue, certainly in the UK. 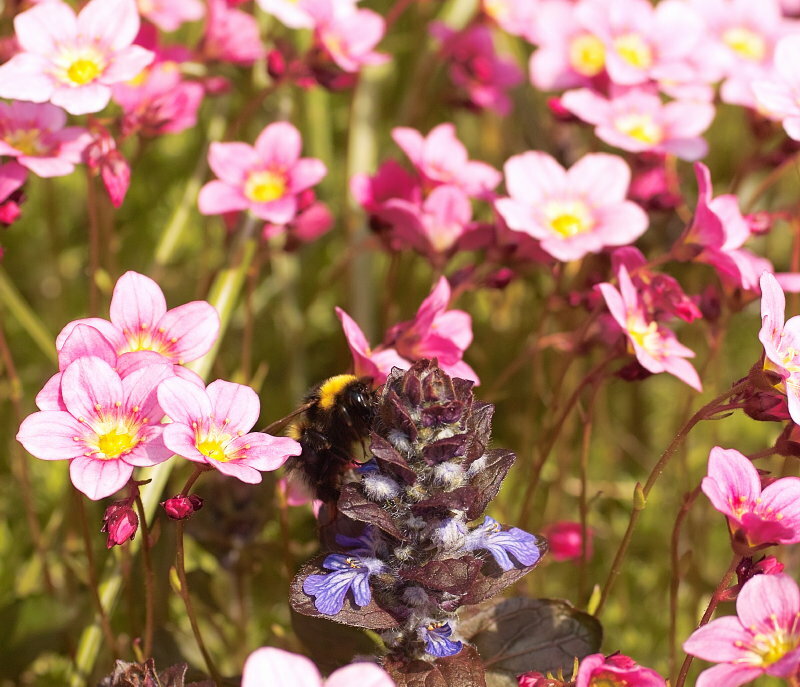 The excellent UK based gardening charity, the RHS (Royal Horticultural Society), now publishes a list of ‘Plants For Pollinators’, which can be downloaded by clicking here. This is very helpful, but it doesn’t include many of the flowers which we have found our Welsh Insect population actually seems to prefer visiting. And of course many of the plants on this list wouldn’t survive or thrive in our very wet climate. Also the list doesn’t stress the specific appeal of many flowers to certain groups of insects, and not others. From my observations, there are actually very few plants or flowers which seem to have widespread insect appeal. The RHS has also recently begun a major scientifically devised study to target and assess ‘Plants For Bugs’. Again information on this can be found by clicking here. I’m sure that this will produce much valuable information down the road, but I was intrigued to read in an initial report that along with various high-tech methods of monitoring insect numbers on each plot, the time devoted to actual observation of which insects were visiting which flowers was limited to just 5 one hour long sessions, per year, per plot. My records of insect/plant preferences are entirely non scientific of course, but are based on lengthy observations of all the flowering plants in our garden, on most suitable occasions (i.e. dryish, warmer days, preferably with some sunshine), right the way through the year. One of my most significant findings (by August 2012) is just how little I still know about these complex flower/insect interactions! But another observation is just how selective many insects are when choosing which flowers to visit out of the range available. Perhaps this isn’t too surprising, given mankind’s own diverse preferences in the food and drink field! 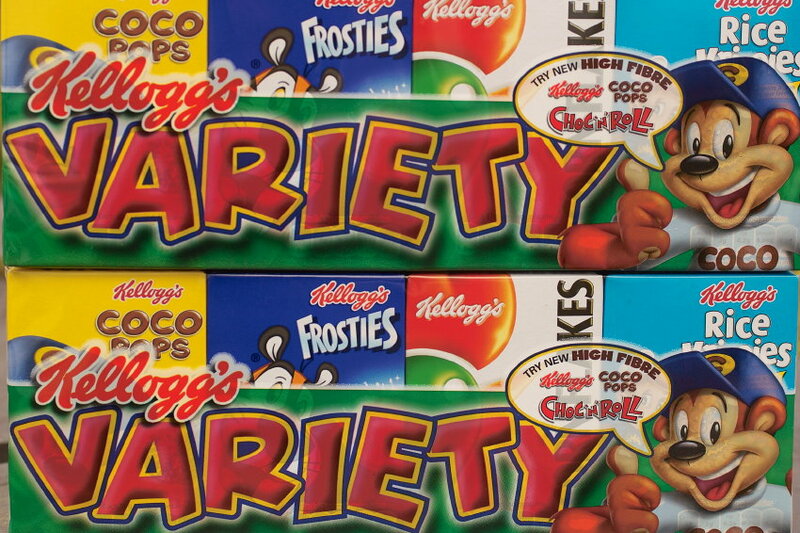 What indeed makes us choose to eat a particular food? 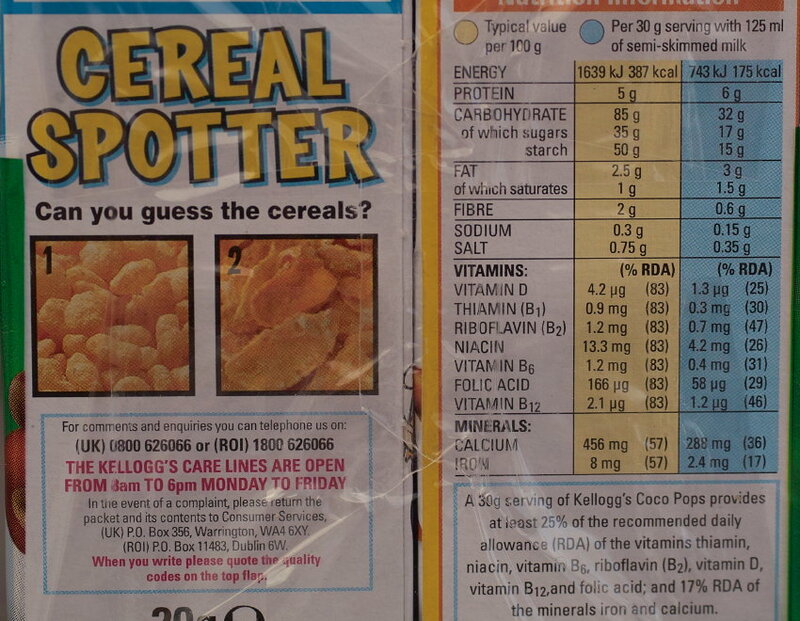 Or are we influenced by the nutritional data now provided for most processed foods? I suspect rarely…..
… Or simply taste, smell and appearance? Insects maybe have much less to consider. For sure the plant tries to attract them to its flower through colour, patterns and design, but the insects are out for that energy fix of nectar or pollen, so access issues to the flower and then quantity, quality and I guess scent, of the pollen and nectar must be the determining factors. And of course apart from Honeybees which can communicate food source locations to fellow workers through special dance behaviours, most other insects will have to establish their preferences pretty quickly, and individually, since many survive for only a few days or weeks. 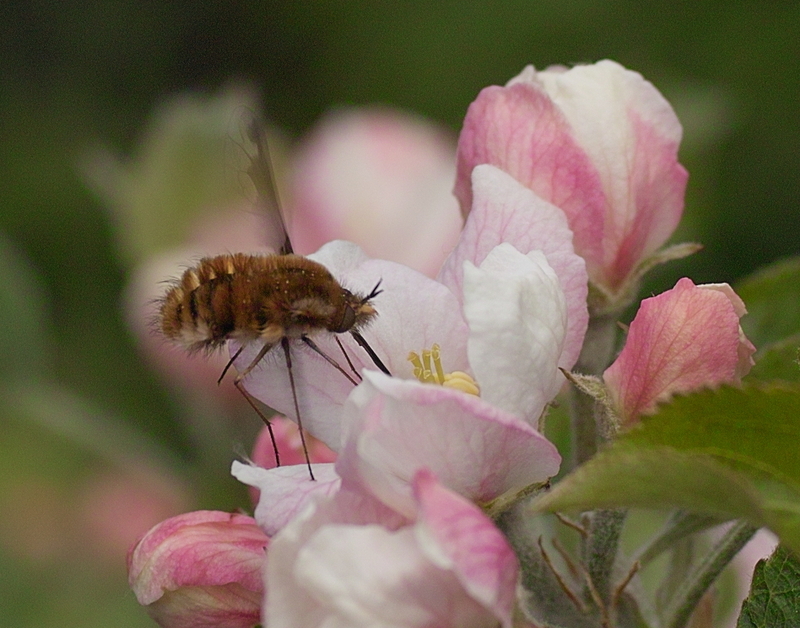 The human food stuff most influenced by insect flower preferences is probably honey. 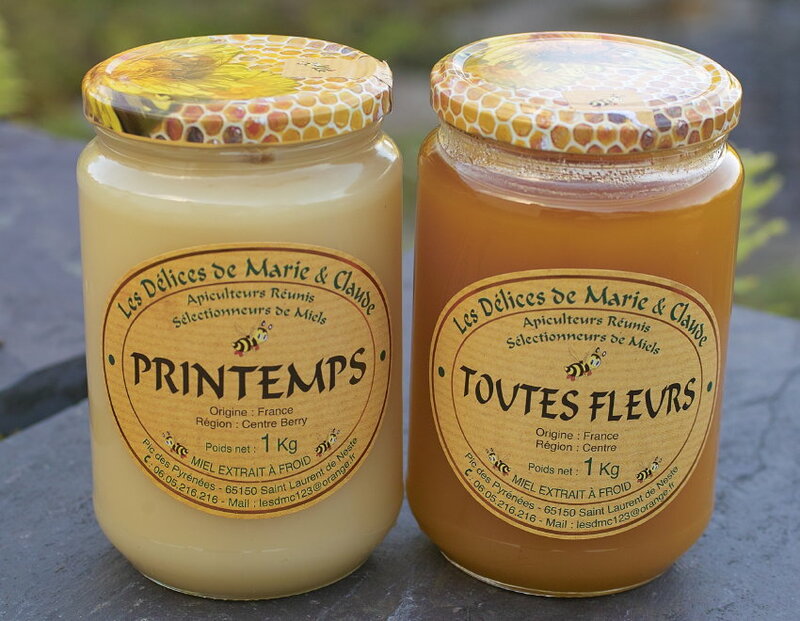 We bought the jars above at a street market stall in Paris in 2012, where we had the opportunity to taste a wide range of French cold extracted honeys. The colour, taste and texture variations were extraordinary. 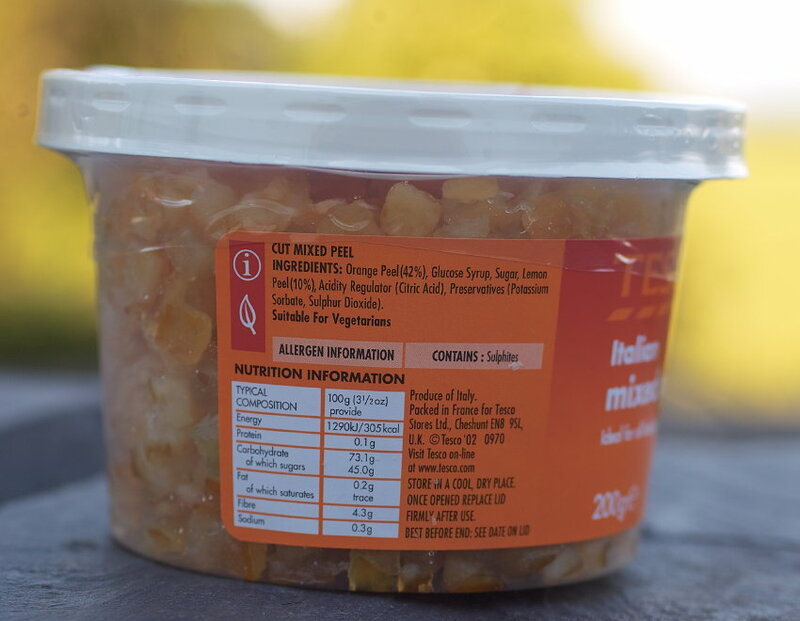 I’d eventually love to produce and sample honey produced in our own garden, and gradually by widening the range of insect friendly flowers we grow, we’re reaching a point where I think honeybees would stand a fighting chance of survival, given our altitude and rainfall. 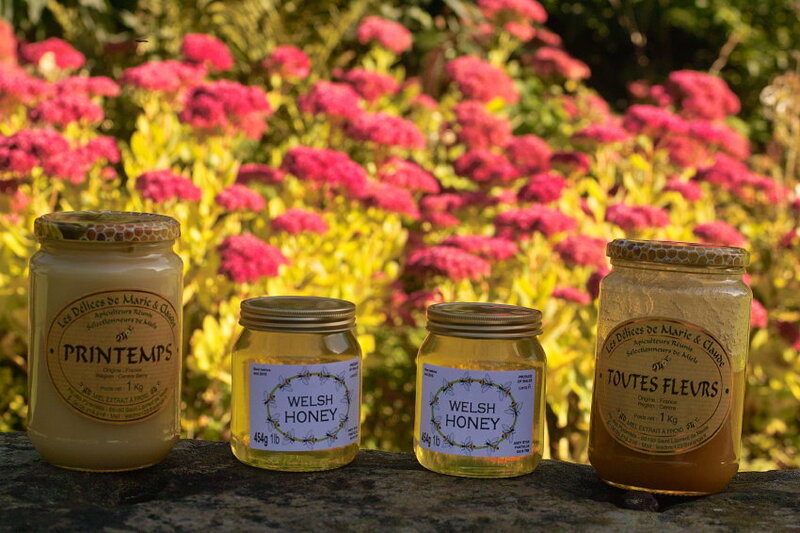 In fact in October 2012 I can add to the above paragraph with pictures of 2 jars of honey bought from the nearest producer, about 1.5 miles away. Andy explained that all his surplus honey this year came from one of his 4 hives, late in the year, so I figured that at least some of the jar’s contents were sourced from our garden. Of course its possible to dismiss many insects as a minor nuisance or pest in a garden, (and there’s a lot of money to be made by big business persuading us gardeners to use the latest bug killer), but they’re key lower elements of the food chain for most higher animals and I’ve become more and more aware of how interwoven many life cycles are, and how many hinge on this waltz of attraction between flowers and insects. And how, given time, a healthy status quo seems to be reached with only minor plant damage from some of the thousands of insects in a balanced natural garden. Indeed such damage often fluctuates from year to year with the roughly 3-5 year insect population cycles from abundance, to population crash, to recovery, which seems a feature of many insect species’ demographics. (I always exclude the Large and Small White butterfly caterpillars from this generalisation, since they will devastate brassica crops up here in most years if no protective measures are taken, e.g.covering crops with enviromesh netting). I’ve chosen the Bee Fly, Bombylius major, as the lead photo for this whole section, since it seems to capture this mutually beneficial relationship between flowers and insects so well. It buzzes, hovers, mimics bees, yet almost caresses the flowers with its unicorn horn-like tongue whilst feeding. The flower supplies nectar, but in return hopefully gets pollinated and sets seed. And all of this benign relationship hides the slightly sinister aspect of the Bee Fly’s life cycle, which involves the adult fly finding the underground nests or tunnels of mining bees and laying its eggs – sometimes even flicking them into the entrance to the nest, so that the larva which emerges can parasitise the bee’s larva, and gradually eat it alive, from within. And when the bee larva has pupated, it is a bee fly and not a bee which emerges when the pupa splits. So a vegetarian adult develops from a carnivorous juvenile. 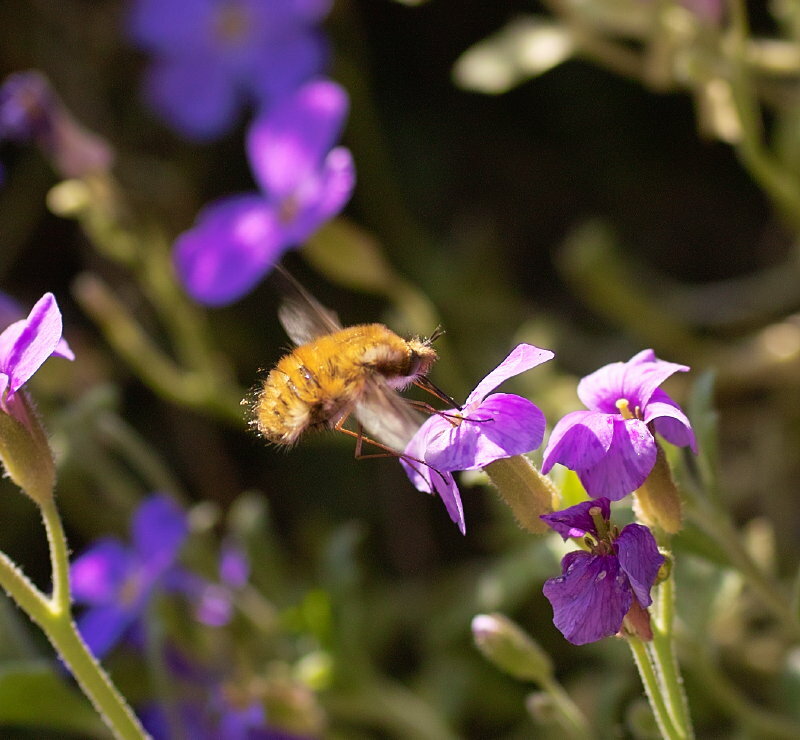 The other reason for selecting the Bee Fly, is that we had none in the garden until 3 years ago, and year on year since then they have increased in numbers….and we are now seeing more solitary bees, so we get the impression that our planting and management of the garden is working in the way we hoped. We’ve also noticed that our garden seems to have higher concentrations of many insects than most other gardens that we visit, including our local wonderful National Botanic Garden of Wales, and the Botanic Garden at Kew (and this in spite of being 800 feet above sea level, with over 70 inches of rainfall annually), which made me think that an online record of some of our favoured flowers might have a wider value for gardeners keen to encourage this group of wildlife species in their own gardens. I’ll try to add the most popular and successful plants from our garden as I can manage time to upload the images, and if anyone has popular perennial flowers which aren’t listed I’d love to know, and we will try them out up here, and see if they enhance the mix. I’m sure you’ll see some glaring omissions, partly because the plants won’t grow successfully with our high annual rainfall and acid soil, but perhaps also because I don’t know about them! I’ve now ( 6/06/11) decided to put the flowers into separate monthly sub folders which you can scroll through quickly, and it will also make it easier for me to amend in the future. From the end of 2012 I’m going to add a subjective and more limited list of those flowers which have best insect appeal at particular times of the year, (initially at the beginning of each monthly folder, as I work through them and reformat the images). This could form the basis of helpful planting schemes for anyone interested in making their garden more appealing to this group of invertebrates. 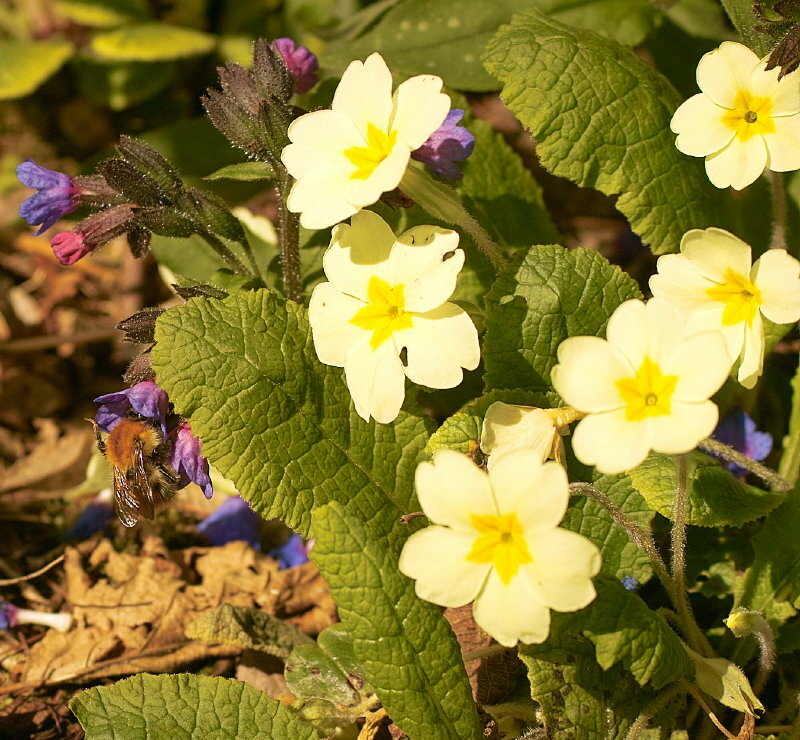 A few other points worth noting are that if you have the space, do try to plant these flowers in big areas or drifts, rather than individual plants. They will have much more value and appeal to the insects planted this way. Also if they can be planted in full sun, and sheltered as much as possible from prevailing winds, then again, their benefits will be enhanced. The big exception to this in our garden seems to be Geranium macrorrhizum, which will flourish with us in even dry deep shade, and still attract the bumblebees and honeybees in profusion. Many insects, particularly bumblebee colonies, are vulnerable to a sudden lack of food, so the trick is to plan for a succession of suitable pollen and nectar flowers right the way through the year, starting in the very early spring when the first flies and hibernating queen bumblebees emerge, desperate for some nectar and pollen to get to work on breeding their new generations. We’re gradually getting better at this year round interest in our own garden, but sometimes you’re aware that there aren’t as many bees around in the garden as a few days before, and nearly always this coincides with a momentary flower gap in their larder. In the case of a honeybee hive this is not so much of an issue since they’ll fly up to 3 miles for food, and most of the time the hive will contain sufficient honey to tide the colony over a period of poor weather or food availability. 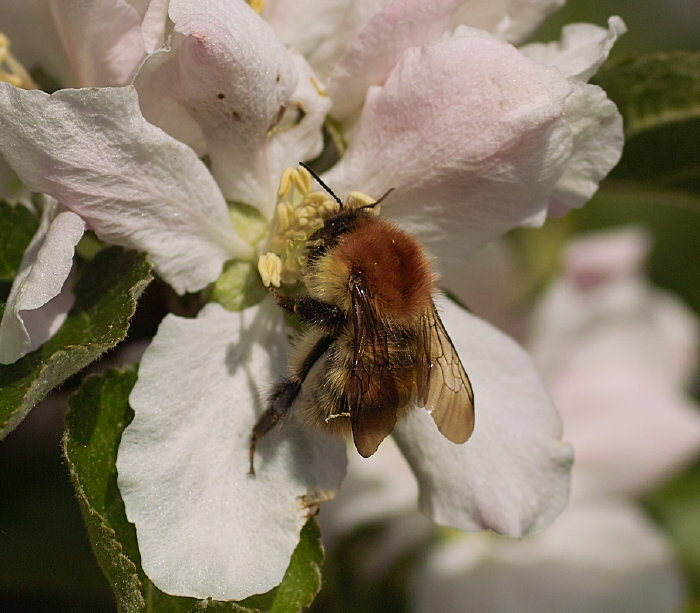 However bumblebees are more restricted in flight distances and the colony, being much smaller, carries much less in the way of stored food reserves. They probably only travel 500 metres from the nest site, so if you don’t have flowers in the garden, you have to hope that there are others nearby in the wider environment. 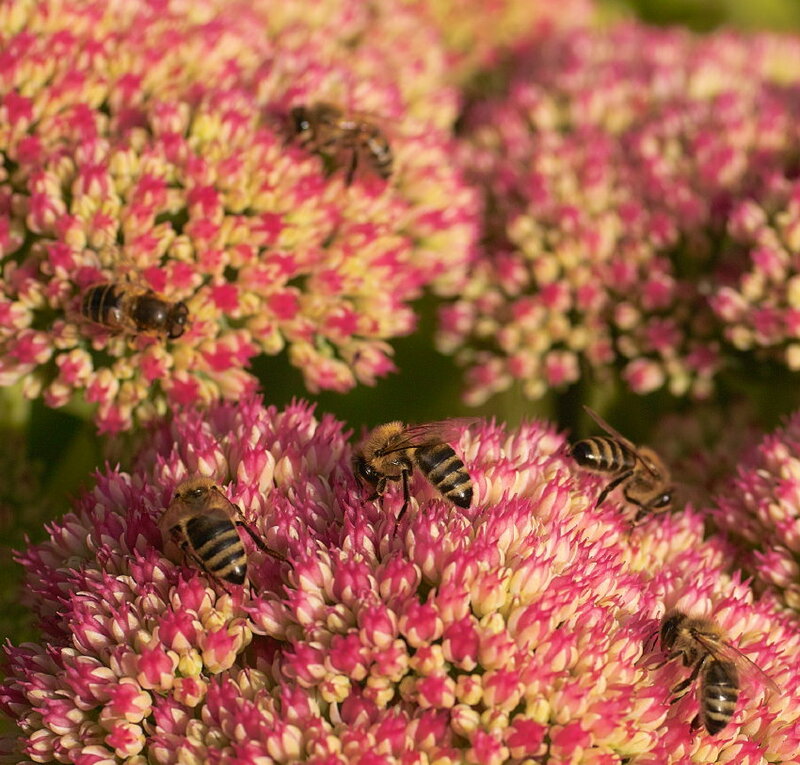 Of course apart from the enjoyment of seeing all this diversity of life around you as you work in the garden, there will be real benefits in pollination and hence seed and fruit set in the plants that you grow – if you can manage to achieve this balanced diverse ecology in your home patch. And you’ll be helping some of these species hang on in an increasingly unfavourable wider environment. We also don’t bother with any nesting boxes or bug boxes which seem to be all the rage. Our thinking is that in most environments the insects are perfectly capable of finding suitable sites to overwinter or nest. Its another good money spinner for firms selling them of course, but I really think that you’ve got to worry more about the food side of their lives, rather than their accommodation! Finally, and perhaps obviously, don’t use any pesticides or fungicides in the garden. We own up to occasionally using slug treatments with our high annual rainfall, and spot paint treatments with herbicides on problem plant weeds but the only thing we spray onto our plants is dilute seaweed extract, which I do feel has benefits for healthy foliage…whether as a result of trace minerals, or the alginates it contains, I’m not sure. I strongly feel that anything else in the way of garden chemicals will deter, if not actually harm, many of the potential insect garden visitors. Anyone thinking that this approach to pesticides might be a bit severe, might like to click here or here for the possible links between widespread use of neonicotinoid pesticide use and the decline in honeybee numbers. Please look at the monthly sub-folders for more specific plant recommendations and comments. For 2014 our garden at Gelli Uchaf will open from February to the end of August, (when we’re around), by prior appointment, for charity under the National Gardens Scheme. Please see the ‘Visiting the Garden’ page for visiting details, or by clicking here.